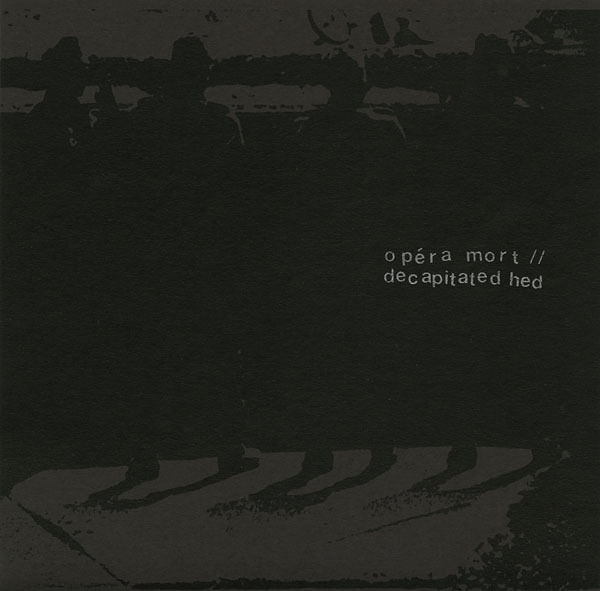 Paris/Brussels duo Opéra Mort team up with Spleencoffin regular Decapitated Hed for this well-paired split vinyl release. Everything you need is here: evil loops, piercing synths, destroyed dance rhythms, maniacal vocals, AND a handful of mesmerizing lock grooves to top it all off. This is sadistic death disco for the discriminating listener. Sleeves feature deep black multi-generation xerox shadows on heavy duty black kraft paper with silver hand-screenprinted text, laboriously DIY as always, limited edition of 300 copies.